Whether you originate from Kansas or not, you probably uttered this famous line at least once or twice in your life. However, the chances are that you uttered it completely wrong. Since it premiered in 1939, The Wizard Of Oz’s most famous quote somehow got mixed up along the way. 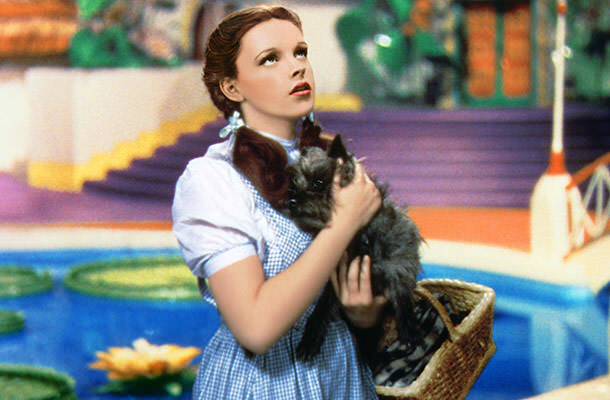 “Toto, I’ve a feeling we’re not in Kansas anymore” got morphed into two similar misquotations. So, whether you’ve been saying “Toto, I’ve got a feeling we’re not in Kansas anymore” or “Toto, I don’t think we’re in Kansas anymore,” it really doesn’t matter. It’s wrong either way. The more you know, eh?